THE COW SHOW: Free Log! It's Log! I saw this FREE LOG while taking Bo for a walk this evening. Free! 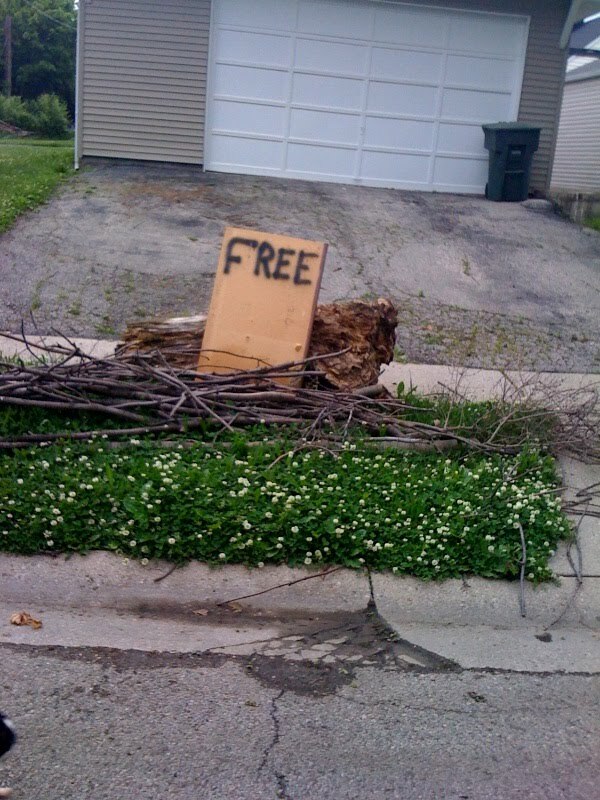 As an added bonus, I bet it comes with that pile of sticks, too. Better get it while its hot folks. A sweet deal like this can't last long. And besides, it's better than bad, it's good.